If they were to make a big-budget Hollywood movie about Hiawatha Church, who would play Chris, Spencer and Peter? 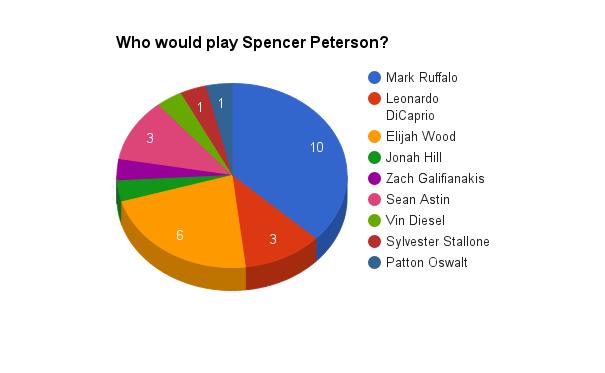 So Mark Ruffalo is the clear winner for Spencer. Elijah Wood was 2nd, but we did have a strong write-in for Wood’s Lord of the Rings co-star Sean Astin from 3 like-minded individuals. 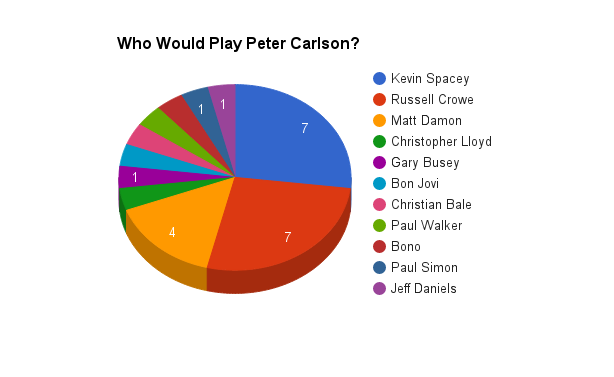 There was a tie for casting Peter between Russell Crowe and Kevin Spacey! Two very different actors to be sure, but actually both of them are musicians. So there’s that. Clearly the Spacey votes were hair-line influenced. Also, Christopher Lloyd and Gary Busey for write-ins? 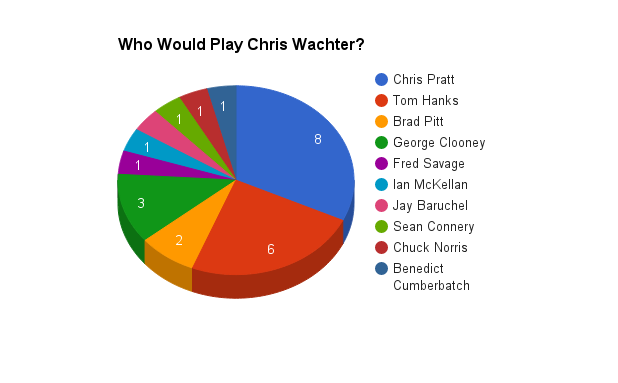 The voting for Chris was back and forth all the way between Chris Pratt and Tom Hanks, two very different choices representing two sides of Wachter’s personality. The young, likable leading man and the calm, seasoned father-type figure. In the end, Pratt was the winner. Although Chuck Norris definitely could have pulled it off too. And thanks to your Hollywood casting prowess, the film is actually in production! The teaser trailer has just been released. Take a look!